Fractured reservoirs contain a significant proportion of the global hydrocarbon reserves; however, they commonly exhibit unpredictable and extreme production behaviour. To develop such reservoirs it is necessary to obtain the best understanding possible of the fracture network and its impact on the fluid flow within the reservoir, using the full range of geoscience and engineering datasets available at all scales. This new, up dated edition of Introduction to Mineral Exploration provides a comprehensive overview of all aspects of mineral exploration. Applied Earth Science (Trans. IMM B incorporating Proc. AusIMM) is devoted to the application of the earth sciences in the exploration, discovery, development and exploitation of mineral resources. Applied Earth Science's broad range of interest serves an international readership that includes industry exploration and mining geologists, and geosciences researchers, whose common concern is knowledge and use of the Earth's mineral resources. The mining industry is vital to the Australian economy, accounting for around 32% of annual exports. The Mining Valuation Handbook is the most comprehensive book published on this subject. This Premium Finance edition has been fully revised, expanded and updated. 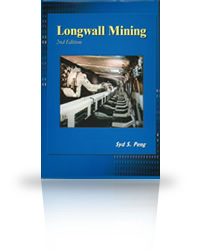 This reference text covers longwall mining technology developed and practiced in the US during the last 30 years. It begins with a description of the technology and the special features about US longwalls including their requirements and constraints. 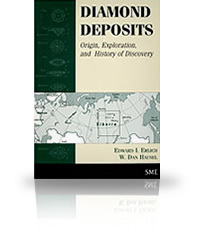 This volume contains research aimed both at understanding the origins of mineral deposits and at using mineral deposits as tools to explore different long-term Earth processes. Written for geologists and diamond prospectors, this guidebook provides a general overview of diamond exploration and exploitation. The text covers how to find, recognize, and evaluate the potential of diamond deposits. As examples, the book reviews the history of some important diamond discoveries in Russia and the western United States. Industrial Minerals, including construction raw materials, provides the bulk of the solid minerals required by most developed countries, both in tonnage and value. In other countries, the discovery and extraction of industrial minerals is an essential stage in economic development. This book contains a comprehensive coverage of the subjects that occupy professional geoscientists working in industrial minerals and the extractive industry. 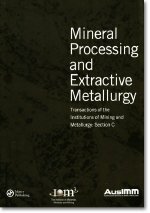 It includes descriptions of the geology of many deposits, country and regional reviews of industrial minerals, mineral economics, case histories of extraction, techniques for exploration and evaluation, examples of quarry and pit design, risk management, minerals planning/permitting and legislation, the environmental impact of mineral extraction, and mine waste and by-product utilization. The book results from a unique international event which combined the 36th North American Forum on the geology of Industrial Minerals with the 11th UK Extractive Industry Geology Conference. Papers by leading experts from industry, consultancies, government bodies and academia, based in Europe, North America and elsewhere are included. The book will appeal to all professional geoscientists involved with industrial minerals and the extractive industry and others, including mining engineers, planners, mineral economists and environmental geoscientists.